PDC provided electrical, civil, and structural engineering for this new, $43 million, 95,000 sf clinic. 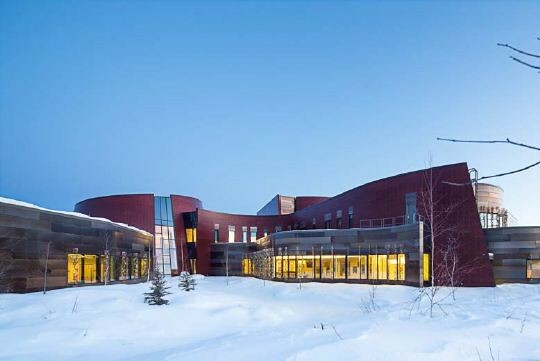 The Tanana Chiefs Conference (TCC) Health Department provides comprehensive health services to some 14,000 Alaska Natives living in Fairbanks and 24 Alaska Native villages in the Interior. 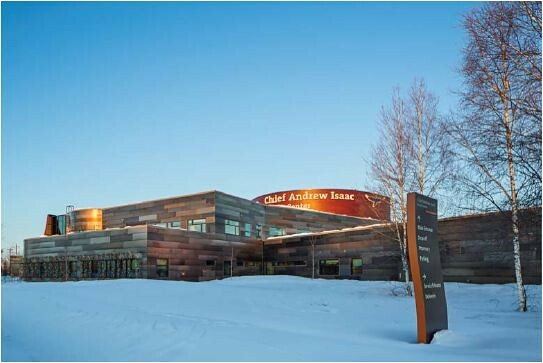 TCC replaced its existing clinic (which operated in leased space at Fairbanks Memorial Hospital) with this new clinic on an undeveloped site across the street from the hospital. 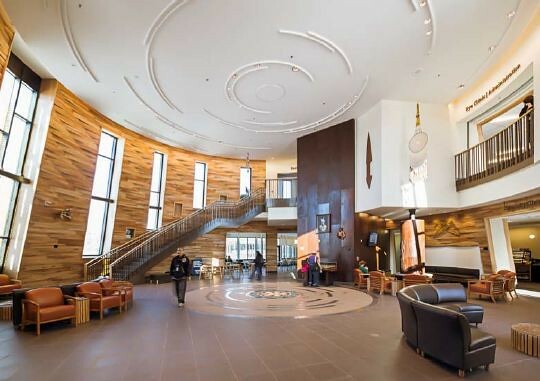 Given TCC’s mission to support Interior Alaska Natives, the clinic needed to provide a culturally sensitive and appropriate setting for its clients while maintaining clinical excellence. 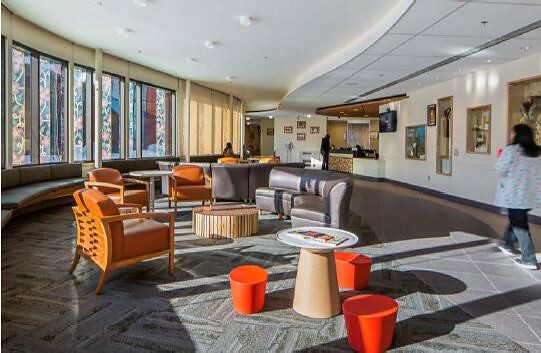 An important element in this effort was first to preserve and celebrate the local natural environment in the site design and landscaping, and then to connect the clinic’s interior spaces as much as possible with the outdoor surroundings. PDC’s civil engineers were tasked with ensuring that the client’s vision, as expressed in the landscape architects’ site plan, could be implemented in a way that met the desired LEED Silver standards, floodplain and wetland permit requirements, and local parking codes. In addition, access to the clinic from Cowles Street required design of new turning lanes, and a mid-block crosswalk with pedestrian-activated flashing beacons to protect staff and patients traveling on foot between the hospital and the new clinic. 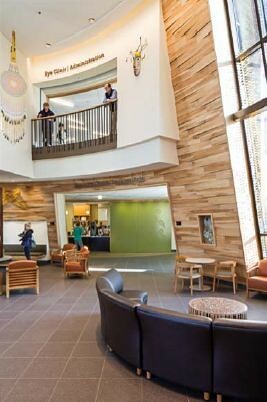 The project achieved LEED Gold certification. Structural engineering, also provided by PDC, presented unique challenges. The building is an articulated structure with three primary components: a two-story main building connected to a projecting registration wing via a circular central waiting area. 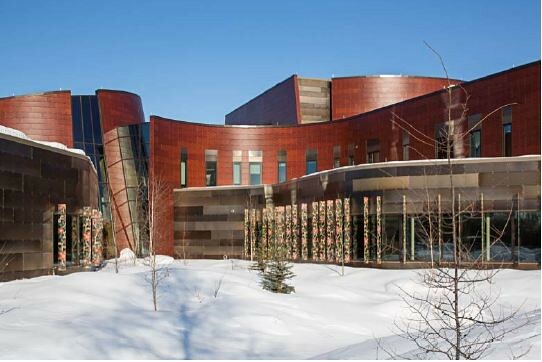 Numerous floor and roof load considerations were involved in the design of a “green roof” for the registration wing, as well as vibration mitigation measures in the dental clinic. The lateral force resisting system utilizes Special Moment Frames in both directions. To accommodate future growth without increasing the building’s footprint, the main building’s design supports construction of a new floor above the first phase. The registration wing is seismically separate from the rest of the structure. 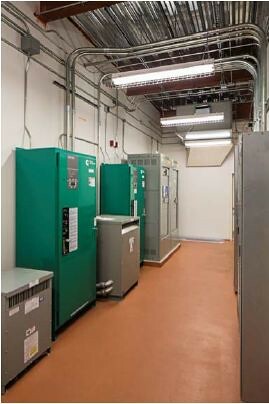 For the electrical engineering, PDC engineers designed electrical utility connections, site lighting, headbolt heaters, lighting, power distribution, telecommunications, fire alarm, CCTV, and access control. 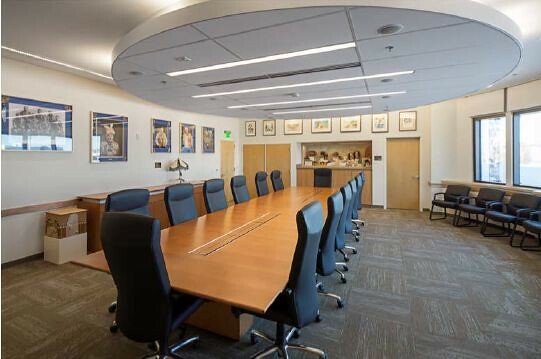 Energy-efficient lighting features for the LEED Gold-certified facility included LEED Light Pollution Reduction, High Performance Low Energy design, and Controllability of systems. 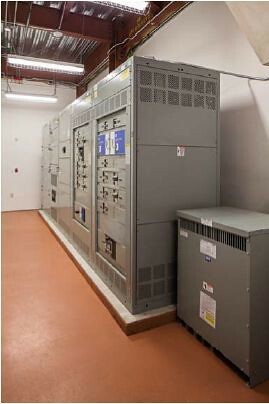 The accelerated design and construction schedule required PDC to provide a design for the distribution system to allow the contractor to route the feeders underground and order the switchboard before design of the building was complete.